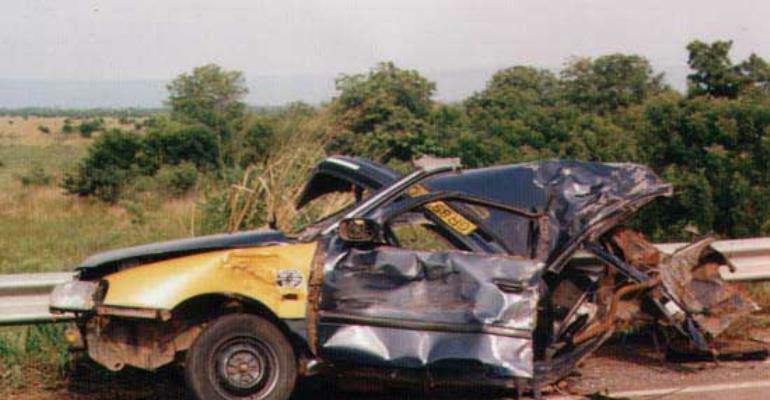 The Ashanti Region has been identified as leading in the number of road accidents during the first half of this year. There is no proper scientific basis to explain the varying accident rates in the country but human error is said to be the major factor in accident occurrence in the country. Despite the fact that the National Road Safety Commission has embarked on a number of sensitisation programmes to educate drivers and other road users on road safety measures and precautions, there has not been a corresponding behavioural response that can lead to attitudinal change. Most drivers still run the red light, while others drink and drive. Poor vehicle maintenance also leads to the occurrence of accidents on the country's roads. According to the Acting Executive Director of the NRSC, Mr. Noble Appiah, the commission intends to strengthen the Regional Road Safety Committees to ensure that the education conducted on a regional basis makes the needed impact. Taxi, trotro drivers and other road users in the country do not respect road safety instructions and road signs as much as they should and this has been one of the major causes of accidents in the country. The Road Safety Commission is determined to reduce the present level of deaths resulting from accidents from 27 per 10,000 vehicles to a single digit by 2020 and to promote best road safety practice for all road users.